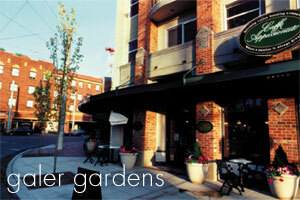 Galer Gardens Condominiums. A mixed-use project on Seattle’s prestigious Queen Anne Hill, located just north of the cities central business district. This project has commanding views of the city, Puget Sound and the Olympic Mountains. The project consisted of 37 well appointed condominiums, underground parking, and 7,000 SF of prime retail space, which was 100% leased to Washington Mutual Savings Bank and Café Appassionato before construction commenced. Sellout of the condos was brisk with an excellent return. 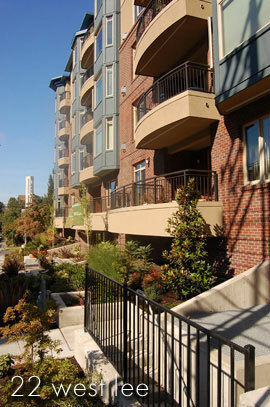 Shilshole View Condominiums. 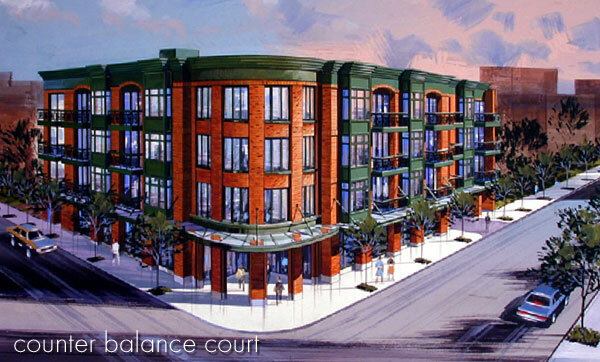 This project consisted of 12 large residential units atop 3,000 square feet of commercial space. This site overlooks Shilshole Marina, the Puget Sound, and Olympic Mountain Range. The project was successfully completed and sold. The Astoria at Meydenbauer Bay is a condominium project consisting of 73 condominium units built over a base of 10,000 SF of commercial space and two levels of underground parking. This project is located in the historic section of Bellevue, Washington and is within walking distance to an abundance of services and shopping. The Astoria was completed and sold in 2003 with a sell-out in excess of $32,000,00. Broadway Plaza is a 59-unit apartment complex with 12,000 SF of commercial space on the corner of Broadway & Roy in the Capital Hill area. The retail tenants in this project include, Roy Street Coffee aka Starbucks, FedEx, Planet Beach Tanning and Extreme Pizza. This project was completed and added to our income property portfolio in December 2003. We operated this income property for 9 years and then closed on a very profitable sale in 2012. 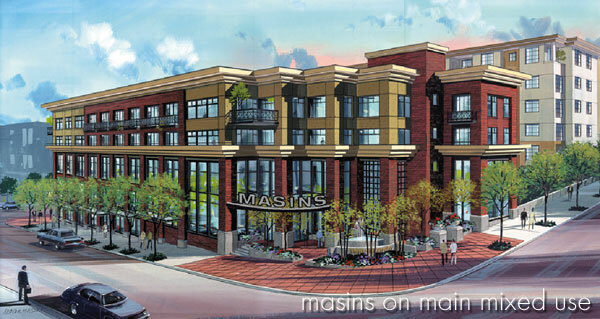 Masins on Main is mixed use building containing 48 apartment units and 30,000 square feet of commercial space. The building was named after the Anchor tenant, Masins Furniture, the premier high-end furniture store in the state. The building is located on the edge of the Historic District of old Bellevue. Other tenants in the building include Seattle Sun Tan and Calidora Skin Care. This property is currently in our income property portfolio and provides excellent cash flow. Counter Balance Court located on Queen Anne & Roy Street is a 33-unit apartment complex with 6,000 SF of commercial space located on the lower part of Queen Anne Hill. The immediate area has a mix of retail businesses, restaurants, trendy boutiques, low-rise specialty shops, small office space and commercial buildings. We are negotiating a sale for the land to the City of Seattle Parks Department for approximately $1,700,000 in lieu of condemnation. This sale is expected to close in January 2004. First West & Lee. This development consists of 20 residential condominium homes in a five-story building located on a quiet side street at the top of Queen Anne Hill. 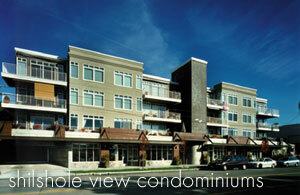 This is one of Seattle’s finest in-city neighborhoods with multi-million dollar homes and condominiums. There are views of Seattle, the Olympic Mountains and Elliott Bay. This is a very upscale residential development in the very prime location where the demand has always exceeded the supply. The project was successfully sold out shortly after completion. 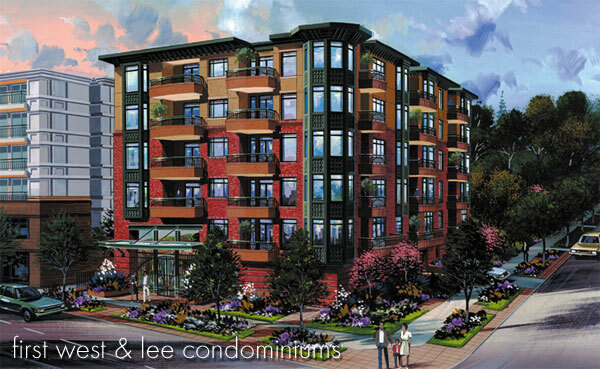 The Verdeaux Condominiums is a wood-frame, four-story, condo project, containing 96 condo flats in two buildings with elevators. Located along the I-405 corridor just North of Kirkland, the homes all included 2 bedrooms and 2 baths with high-end finishes including granite counter tops, ceramic tiled bathrooms, and 9 foot ceilings. The homes appealed to move down buyers as well as first time buyers. The project amenities included courtyards, 2 playgrounds, an outdoor kitchen cabana, tennis court, a 2 acre greenbelt, and access to the Tolt River trail system. Despite the economic downturn that began in 2007, the project successfully sold out.